According to Boston.com, the number of traffic accidents and car accident fatalities is higher between Thanksgiving and New Years every year than at any other time of the year. While there are many reasons for the increase in fatalities, drunk driving is one major contributing factor. Drunk driving is always a major risk, but with so many parties and celebrations, more people tend to drive drunk over the holiday season than at other times of the year. Law enforcement recognizes this phenomenon and is cracking down on DUIs this holiday season. Our Boston drunk driving accident lawyers support their efforts and want to remind you of the dangers of drunk driving over the holiday period. 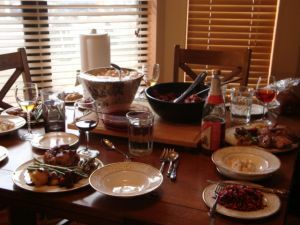 Traditionally, Thanksgiving kicks off the danger season during which more traffic accident fatalities occur than at other points during the year. This year, however, CBS Boston reports that there were no deadly crashes over the Thanksgiving weekend. CBS Boston noted that this was unusual because statistics show an increased risk of accidents over the four-day Thanksgiving holiday. State troopers arrested 13 drunk drivers in Southeastern Massachusetts along Routes 24 and 195 on the Friday and Saturday evenings following Thanksgiving. There were 21 drivers arrested for driving while impaired at DUI checkpoints in Lowell on Friday and in Canton on Saturday. One driver believed to have been impaired was involved in a head-on crash when driving in the wrong direction on the Braga Bridge over the weekend. The driver was seriously injured in the crash, but it is unclear whether anyone else was hurt. These dozens of arrests show that people were still taking dangerous risks and driving drunk over the holiday. The fact that they were not involved in accidents can be attributed both to luck and to the efforts of law enforcement to cut down on drunk driving accidents. State police from the six New England states will be joining forces this year to try to avoid the increase in fatalities that always happens during the holiday season, and CBS News reports that one of the issues they are focusing on is drunk driving. More police enforcement will be going on throughout the holiday season and state troopers will be stationed every few miles on highways to attempt to identify and stop drunk drivers before they do damage. This holiday season, it is important to avoid driving drunk to keep yourself and your family safe. Unfortunately, protecting yourself against other drivers who choose to drive while impaired can be difficult since you never know when a drunk driver will present a danger. Simply being aware of the increased risk of drunk driving accidents over the holiday season may be helpful in avoiding crashes, and you should also consider avoiding areas near bars and clubs during the times when drunk driving accidents are most likely to occur. If you are injured in a crash with a drunk driver, or if one of your family members is injured, you may be able to take legal action to hold the driver responsible.